You acknowledge that the information on the Website is provided 'as is' for general information only, and is subject to change without notice. It is NOT intended to provide healthcare advice, and should NOT be relied upon as a substitute for consultations with qualified health professionals who are familiar with your individual health needs. Las Cruces Cardiology MAKES NO WARRANTIES OF ANY KIND WHATSOEVER REGARDING THIS WEBSITE, INCLUDING BUT NOT LIMITED TO ANY WARRANTY OF ACCURACY, COMPLETENESS, CURRENCY, RELIABILITY, MERCHANTABILITY OR FITNESS FOR A PARTICULAR PURPOSE, OR ANY WARRANTY THAT THESE PAGES, OR THE COMPUTER SERVER WHICH MAKES THEM AVAILABLE, ARE FREE OF VIRUSES OR OTHER HARMFUL ELEMENTS, AND SUCH WARRANTIES ARE EXPRESSLY DISCLAIMED. You agree that you will hold harmless Las Cruces Cardiology and its shareholders, partners, officers, directors, and employees from any and all claims arising out of or related to your access or use of, or your inability to access or use, this Website or the information contained in this Website or other websites to which it is linked, including but not limited to claims that you have found something you have heard, viewed or downloaded from this Website or any other website to which it is linked to be obscene, offensive, defamatory, or infringing upon your intellectual property rights. IN NO EVENT WILL Las Cruces Cardiology OR ANY OF THE INFORMATION CONTRIBUTORS TO THE WEBSITE BE LIABLE TO YOU OR ANYONE ELSE FOR ANY DECISION MADE OR ACTION TAKEN BY YOU IN RELIANCE ON SUCH INFORMATION OR FOR ANY CONSEQUENTIAL, SPECIAL OR SIMILAR DAMAGES, EVEN IF Las Cruces Cardiology HAS BEEN ADVISED OF THE POSSIBILITY OF SUCH DAMAGES. You acknowledge that the opinions and recommendations contained in this Website are not necessarily those of Las Cruces Cardiology nor are they endorsed by Las Cruces Cardiology. Las Cruces Cardiology may provide links on the Website to other websites which are not under the control of Las Cruces Cardiology. In general, any website which has an address (or URL) not containing 'lccardiology.com' is such a website. These links are provided for convenience or reference only and are not intended as an endorsement by Las Cruces Cardiology of the organization or individual operating the website or a warranty of any type regarding the website or the information on the website. The link be a text-only link clearly marked Las Cruces Cardiology. The link must 'point' to the URL 'lccardiology.com' and not to other pages within the Website. The appearance, position and other aspects of the link may not be such as to damage or dilute the goodwill associated with Las Cruces Cardiology's name and trademarks. 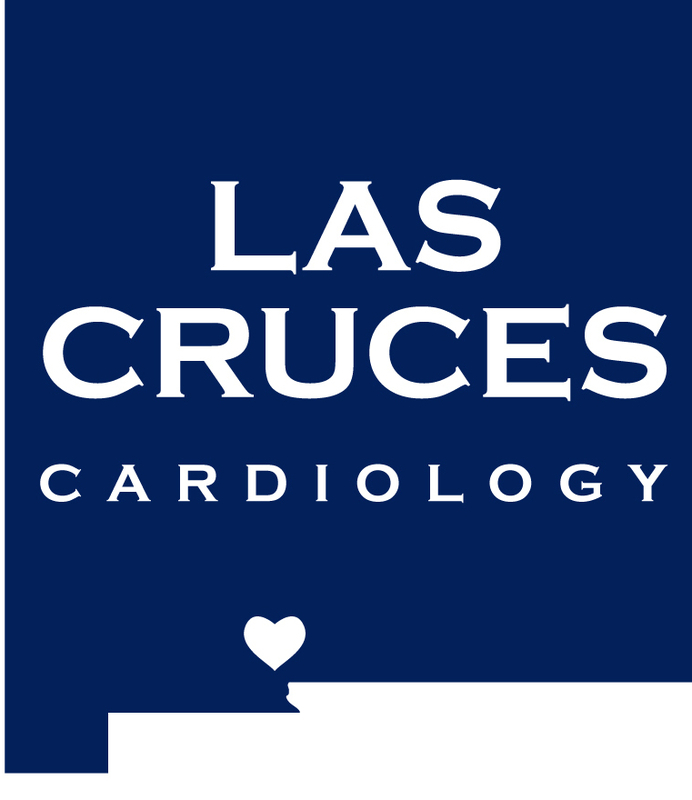 The appearance, position and other aspects of the link may not create the false appearance that an entity other than Las Cruces Cardiology is associated with or sponsored by Las Cruces Cardiology. This Website (excluding linked sites) resides on computer servers that are owned or controlled by DR-LEONARDO which is headquartered in the State of New York, in the United States of America. It may be accessed from all 50 states, as well as from other countries around the world. Because each of these places has laws that may differ from those of New York, by accessing this Website you agree that the statutes and laws of the State of New York, without regard to conflicts of law principles thereof, will apply to all matters arising from or relating to the use of this Website.Las Cruces Cardiology and DR-LEONARDO make no representation that materials on the Website are appropriate or available for use in other locations, and accessing them from territories where their contents are illegal is hereby prohibited. Individuals or organizations choosing to access this Website from other locations do so of their own initiative and are responsible for compliance with local laws. All text and electronic images on this Website are copyrighted materials which are registered copyrights, unregistered common law copyrights, salesmarks, trademarks or registered trademarks of Las Cruces Cardiology or DR-LEONARDO, its suppliers or contributors. Unauthorized duplication is a violation of Title 17 U.S.C.S., the Copyright Act of 1976 and the Digital Millennium Copyright Act of 1998. ANY ATTEMPT TO INFRINGE UPON OR TO CIRCUMVENT THESE COPYRIGHTS OR TRADEMARKS WILL SUBJECT THE INFRINGING INDIVIDUAL OR ORGANIZATION TO SEVERE CIVIL AND CRIMINAL PENALTIES AS PRESCRIBED BY LAW. SUCH PENALTIES MAY INCLUDE, BUT ARE NOT LIMITED TO, AN AWARD OF STATUTORY DAMAGES IN THE SUM OF UP TO $150,000 PER INFRINGEMENT.